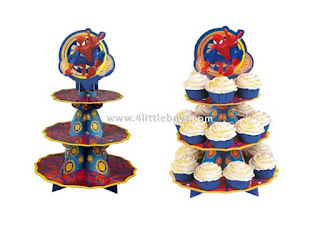 Includes: (1) easy-to-assemble 15.25" H x 11.75" W cardboard cupcake stand. Adult assembly required. Does not include cupcakes. This is an officially licensed Marvel product.